Adding to my arsenal of newbie car mods on my first car, a ’94 Mazda Protege, I replaced my OEM shift knob several times. Nothing was wrong with my stock shifter, in fact looking back at it now, I think it looked the best out of all of the aftermarket ones I replaced it with. But, I finally got my very first car and I was ready to modify anything that I could get my hands on. 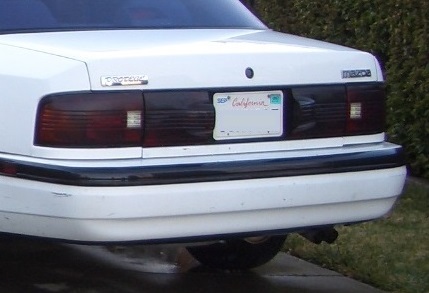 For some odd reason, I thought it would be a good idea to “tint” my headlights and rear reflectors and to do it myself.I remember my dad telling me that it was a bad idea because all it was doing was making my lights and reflectors harder to see. Basically it wasn’t safe. Being the young stubborn teen I was, I still did it anyway because I thought it looked cool; plus, I simply wanted to do something—anything to my car. 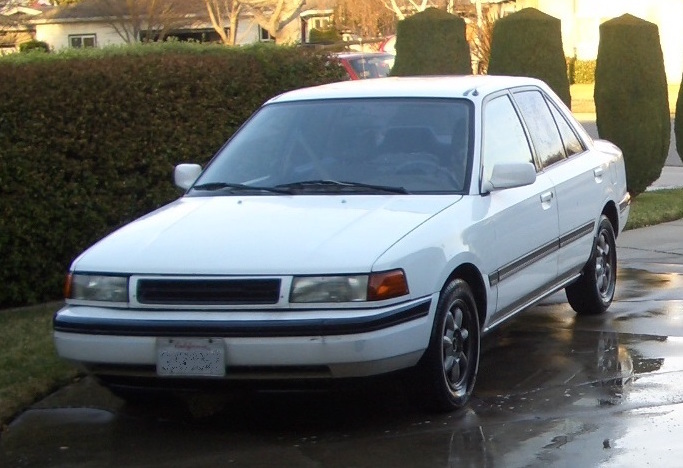 The story about the very first car I owned, a 1994 Mazda Protege LX. It was not a pretty car, but it sure didn’t matter. I finally got to have my very own car finally!